Nokia is teasing a mysterious ‘BIG’ announcement for tomorrow and only gives us one hint - an orange background with the Nokia logo engraved on it. The surprising announcement is scheduled for early morning UK time tomorrow, and it does not seem like Nokia will unveil news about Lumia. 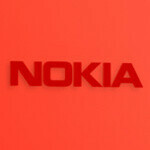 More likely, we’ll see news regarding Nokia’s Asha lineup. The color is reminiscent of the Nokia Asha 501, a touchscreen-enabled feature phone in the sub-$100 category. Could we see finally a new Asha with 3G support? Or are we in for more colors? These are just our guesses, but make sure to take a look back tomorrow to see what did Nokia have in mind. Or it could literally be BIG as in a Lumia phablet and/or tablet. I don't believe that's happening in a program which is not given a prior notice...like the unveiling of 1020. Something related with Asha series would seem right. Or 625? Maybe an updated Lumia 520? The Lumia 620 was released without prior notice as well. I have a feeling it's an Asha too, because colored fonts can be found in the Asha 501 but not in Lumia phones. However, as others said, the "BIG" in the text might point to a phablet, which could only be a Lumia. Maybe sometime as BIG as an orangey/pinkish 3310... Who knows? And our nightmare :D I expect Lumia 625. Still not as advanced as Symbian... Better setup for modern hardware, but still playing catch-up. Lumia Phablet? Nah, too soon for that (I expect to see that around quarter 3 when GDR3 is released) plus I think they would have given a bigger (pun intended) warning than that with press invites and the like. Probably has something to do with there Lumia line there aiming at the developing markets (india, china, etc). BIG? I hope it's the Lumia tablet. Nah. They would have sent press invites out a week or so ago, like they did with the 1020. Probably has to do with there line of budget Lumia's or a refresh to there lines of phones. right Lumia 625 going to announce tomorrow, and i except to more announce. I hope its not a Lumia with a 100 Megapixel camera.. LOL! Its Lumia 625 which leaked last week. It has the same dual layer shell for its back cover like Lumia 620 which makes it shine. This might be coming in red color, although 620 never released in red. Not asha for sure.